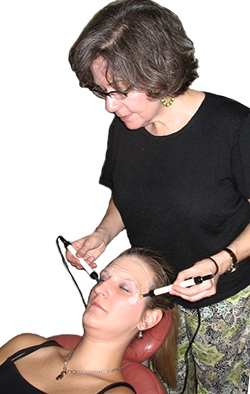 The Jade-E uses low-level electrical stimulation (micro current) and customized color light therapy – depending on your skin’s tone, characteristics and elasticity – to provide a facial rejuvenation that not only significantly improves the appearance of the face, but promotes good health and vibrant energy as well. Lines and points on the face and neck are stimulated with a combination of low-frequency micro current electrical stimulation and color light. Micro current works directly on the nerves, muscle fibers and blood circulation, and promotes collagen and elastin production. Color light works by enhancing subtle regulatory and cellular communication systems throughout the body. These combined therapies give a lifting and rejuvenating effect on the face and skin. 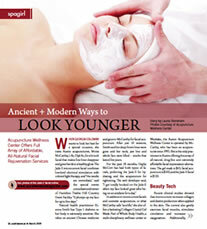 The facial also smoothes and tones the skin’s appearance by relaxing facial muscles. Creases and frown lines are formed partly from the tense musculature under the skin. When these muscles are relaxed there is a great reduction and softening of these features. The conductive gel applied during the facial also nourishes and hydrates the skin for a youthful glow. 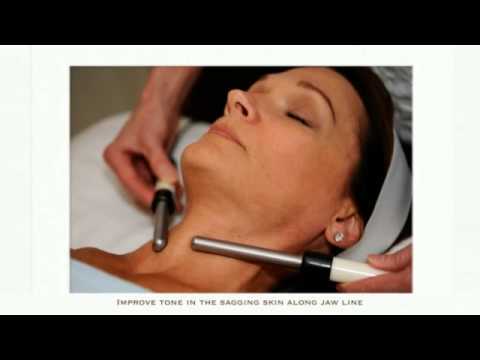 The overall results of the Jade E therapeutic facial are the reduction or elimination of fine lines and creases between and around the eyes, mouth and chin; the reduction or elimination of puffiness or dark circles under the eyes and improvement in tone in the sagging skin along the jaw line and neck area. No Injections Required, a Painless and Relaxing Treatment! The Jade-E therapeutic facial machine uses no injections, no scraping and no squeezing of delicate facial tissues — so sessions are completely painless and very relaxing. The results are immediate – and the treatments have a significant cumulative effect as the skin has increased circulation, hydration and collagen production. Treatments are administered once or twice a week for 6 to 10 weeks depending on your individual skin condition. Since patients see results with their very first treatment, the Jade-E therapeutic facial is an excellent choice for a quick beauty boost prior to any special event where you want to look your best!